Live music this Saturday lunchtime featuring psychedelic dope-popsters Sunlight Service Group plus experimental, propulsive electronics duo Beattie Cobell. Based in Stoke Newington via The North West and West country. Formed in 2010 by James Moriarty and Will Robinson, who, with a mutual love for blues, grass and antique psychedelic music started playing for fun in a former sweet factory with other peoples instruments that hung upon the walls. Since the sweet factory days, insruments have been acuired, line changes and many, many stage deaths have refined a certain chemistry in the now 3 piece band. James and Will continue with (former garden centre gnome) Alex Maudsley on bass. SSG are currently working thier next album while trying to harness the impulsive and loose spirit of vintage psychedelic music. Beattie Cobell are a live electronic duo from south east London. They’ve explored sound together for over 6 years, and are developing into a compulsive unit of rhythm and noise generation. 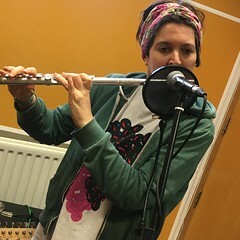 Please tune in between middsy and 1.30pm on Resonance FM. This entry was posted in dexter bentley, hello goodbye show, Hello GoodBye Show: Listings Info, resonance fm and tagged beattie cobell, dexter bentley, hello goodbye, resonance fm, sunshine service group. Bookmark the permalink.